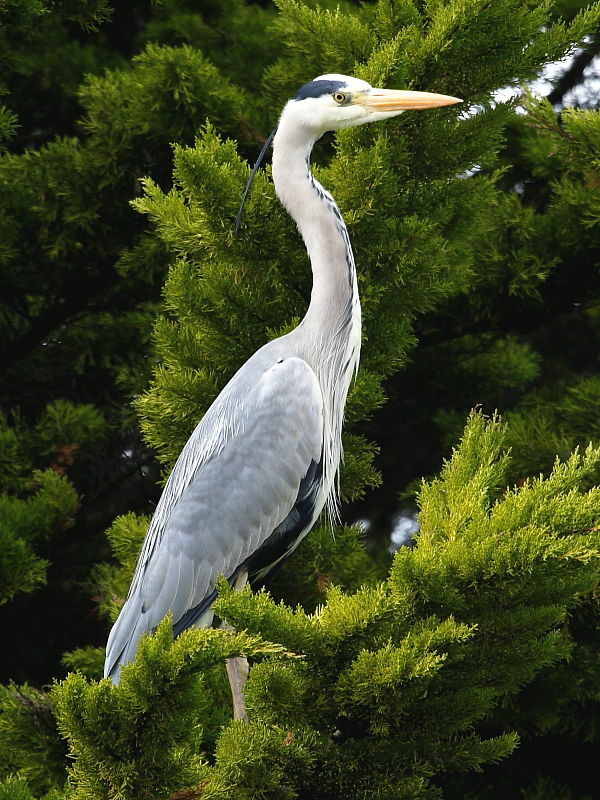 When confronted with a Heron sitting in a tree gazing down at your prize goldfish you are faced with a dilemma: to grab the camera and stealthily stalk closer to get a picture or wave your hands around like some demented scarecrow to frighten it away. I elected to take a picture first! However, I have no doubt it will be back. Despite herons nesting in heronies high up in trees they always appear strangely out of place up a tree, away from water for such a large ungainly bird. Insight into Grey Heron (Ardea cinerea): Until fairly recently Grey Herons were the only species of Heron likely to be seen in the UK but there are now many estuaries and coastal sites along the south coast were the Little Egret outnumber it.